Then they do it again, and again, hunting for the perfect items to fulfill the next request, and the next, on their shopping lists. Until they’ve slayed the consumer holiday beast — exhausted their retail energy — emptied their bank accounts — or maxed out credit limits for every payment option. We hope that most ecommerce merchants are busy managing a terrific holiday season. Indeed, as online sales continue at never-before-seen levels, early reports tout new worldwide records for ecommerce sales. Yet one cloud may dim the holiday lights for ecommerce merchants, looming until well after the holiday shopping season: chargebacks. If not careful, online merchants stand to see their record revenue revelries come to a screeching halt when 2017 holiday chargebacks continue to hit throughout 1Q 2018. What could be even worse? Merchants who accept Stripe payments could see their accounts shut down by Stripe Merchant Services and their funds frozen for 30 to 90 days — without warning. Dealing with chargebacks any time of year dismays many ecommerce merchants. But during the busy holiday season — when chargebacks already occur at elevated levels — chargeback disputes add stress and take time away from maximizing business results. How and why does it happen? What’s the link to the holiday season? It pays to know what horrors might lurk right around the corner. As holiday sales increase to record levels again, so do chargebacks. Yet no one wants to see their best business results gobbled up by chargeback fees, along with the holiday turkey and cranberries. Chargebacks cost merchants through lost revenues (via transaction refunds), chargebacks fees, ($15 per Stripe dispute), lost holiday goods (when not returned), and associated shipping costs — not to mention the time and effort required to address them. Chargebacks also cause reputational damage, lost future sales, and customer trust issues when caused by merchant errors or true fraud. Unfortunately, payment aggregators like Stripe terminate accounts and freeze funds at will. They aren’t required to give a reason; it’s just game over for the merchant. That’s what Stripe Merchant Services does way too often. One merchant story you should read says it all. Account holds and terminations: “The most common complaint is sudden account terminations and sweeping payment reversals, without notice and with little explanation.” Merchants also complain about sudden holds on funds while their accounts are “under review” by Stripe. Unresponsive Customer Service: There’s no one to talk to at Stripe, since all customer support is done via email. Merchants complain about being ignored, saying it takes days or weeks to receive a response. No published phone numbers exist for assistance from Stripe Merchant Services. Chargebacks: Stripe publishes that it won’t work with merchants whose chargeback rate exceeds 1%, though signing up with Stripe is quick and fairly painless. Terminations occur after only a few transactions, if a chargeback occurs. Not User-Friendly: “Stripe was built with developers in mind, first and foremost.” It’s not the plug-and-play payments option that many merchants seek. Note the earlier point about Stripe being built for developers. A merchant must enable the security measures and other protections that exist in the Stripe service, using the Stripe portal. Help consists of online documentation. Check the Stripe reviews here by clicking the blue “Reviews” button. You’ll see what actual merchant users have to say (consistent with the comments noted above). Stripe Merchant Services strikes again. Having the right processor makes a real difference throughout the year, and certainly during the holiday shopping — and chargeback — seasons. With the right tools, you can take control and fight fraud by choosing the right processing partner. MerchACT is the leading provider of merchant accounts and payment technology to high risk, innovative ecommerce companies who operate outside the box of traditional e-commerce retailers. 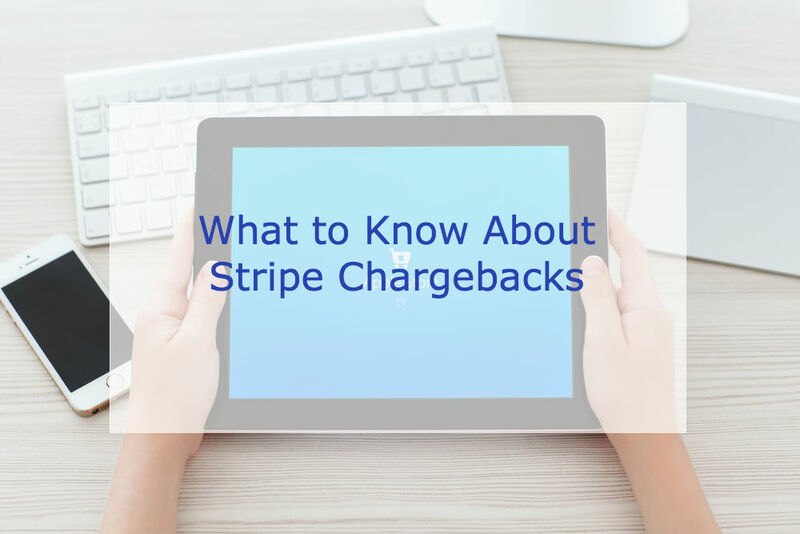 So don’t leave your chargeback season success up to a processor like Stripe Merchant Services who won’t get hands-on to help you succeed. Instead, choose MerchACT — and we’ll help you keep celebrating when your holiday success shines bright well into chargeback season.